Enjoy the natural beauty of unfinished solid American grown Tulip Poplar. 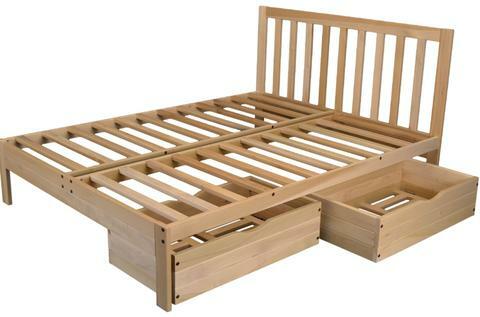 The Charleston 2 Platform Bed is made from American grown wood in Georgia America USA. Available in Twin, Twin XL, Full, and Queen sizes. We have carried this companies products for some time and they are good quality. Bed also shown with optional matching pull out wheeled drawers. This bed has a slat spacing of 4.5″. 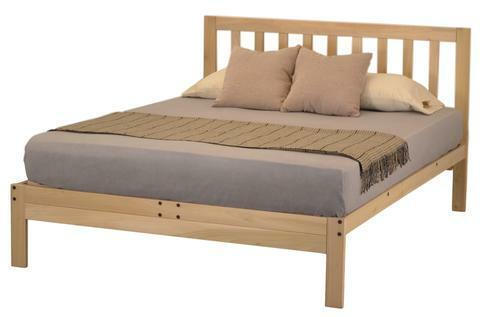 For a slat spacing under 3″ to accommodate a latex or memory foam mattress, choose the Charleston Plus Platform Bed.